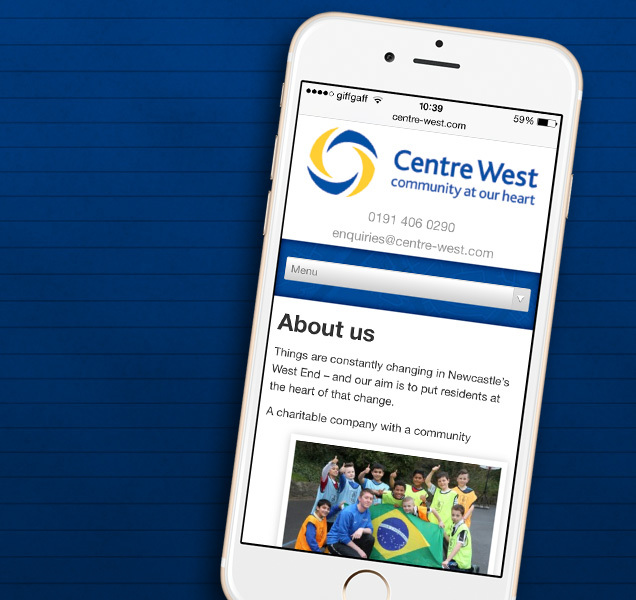 This project involved overhauling a previous website which was proving difficult to update and ineffective for users. The new website utilises a completely fresh bespoke visual design and a restructuring of the pages and content. 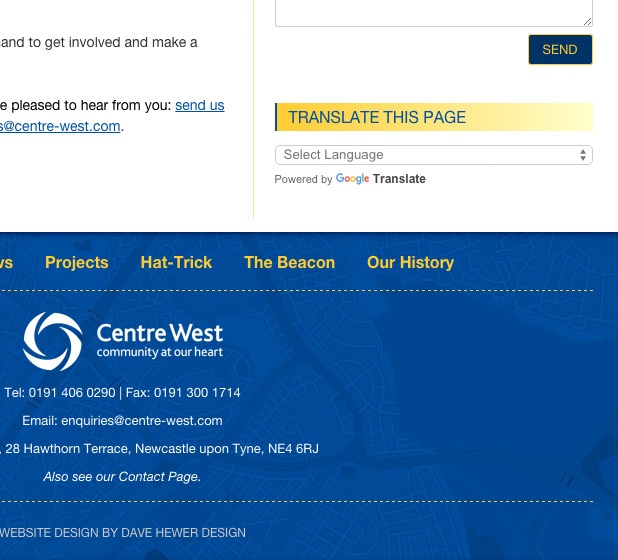 Centre West is an organisation looking to reach and help the various communities in the West of Newcastle upon Tyne. As some of these residents first language is not English, we also included a dynamic translation feature on each page of the website. One of the major problems with the original website was how awkward it was to update. 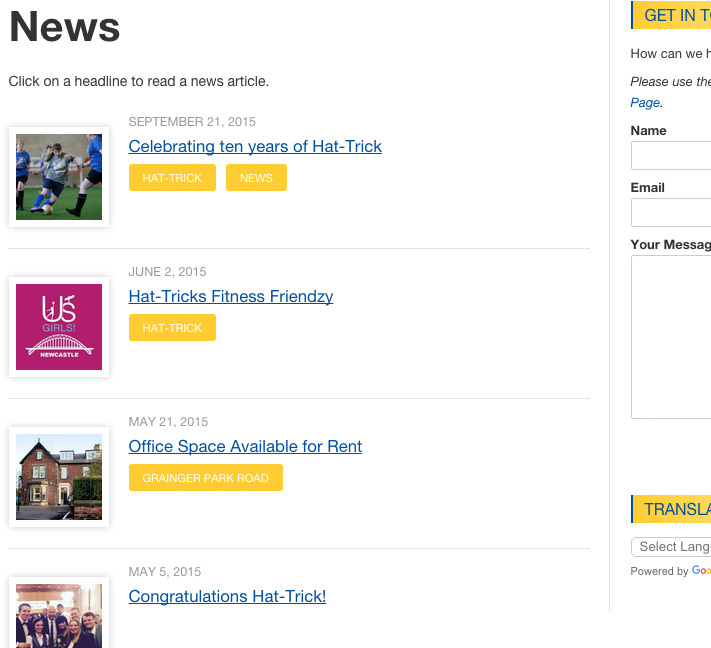 The new site uses WordPress as it’s content management system (CMS). 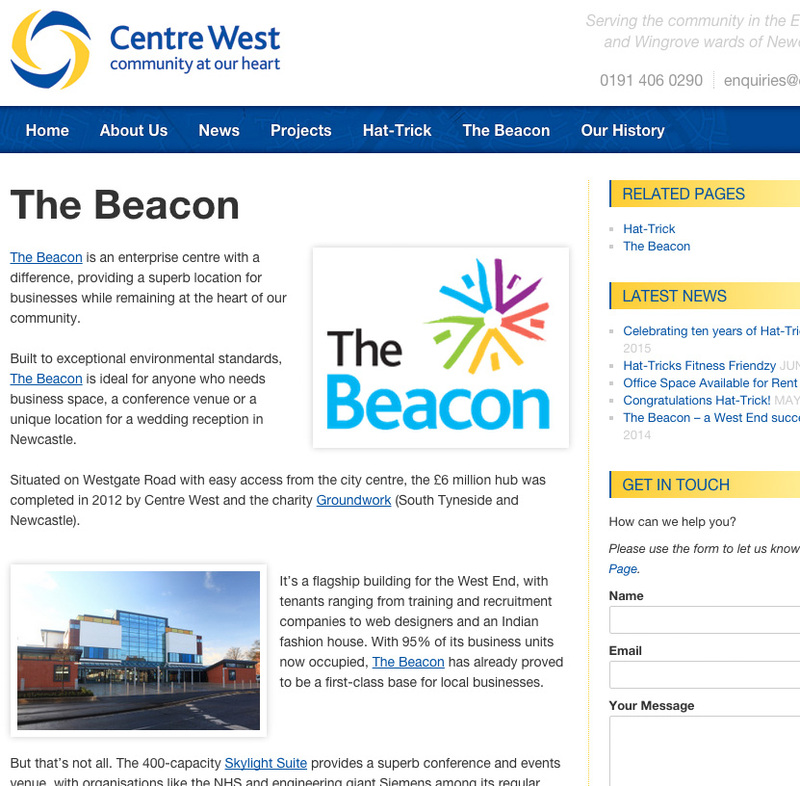 This gives the Centre West staff complete control over the content, and the ability to quickly and easily make changes. The new website also uses a responsive design. This means that regardless of what device someone uses to access the site, they can easily navigate, read and respond to content.